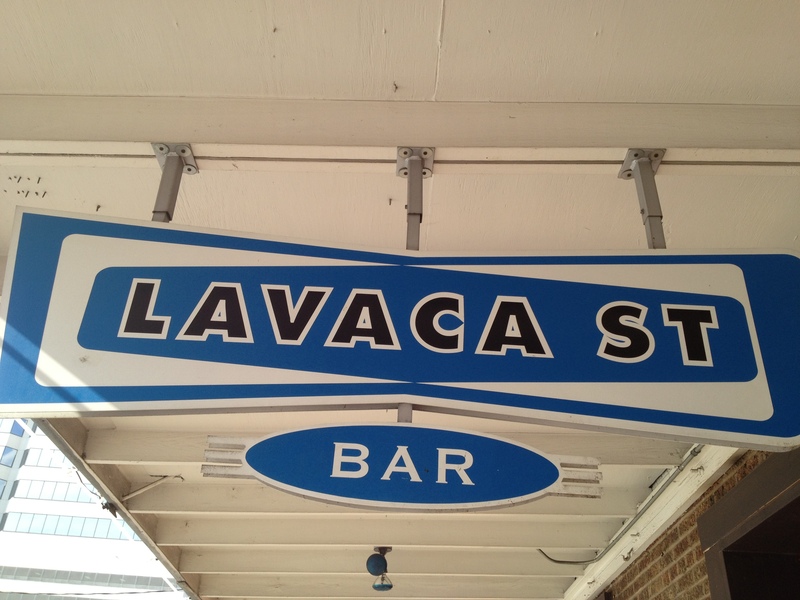 Last night we went to one of our favorite places, Lavaca Street Bar and Grill. One of the reasons we like it is because they always have good specials. Tuesday night is $1.00 Tecate night. Wednesday is Hamburger basket for $5.00 night. Thursday is baconmania. I still haven’t made it there for baconmania yet though. Dare to dream!!! We all shared queso, fries and wings. The guys had pizza, too. They have pretty good bar food. The only complaint that I have about the place is that the music is really loud. I can’t ever hear the people I’m sitting next to. Does that mean I’m getting old? 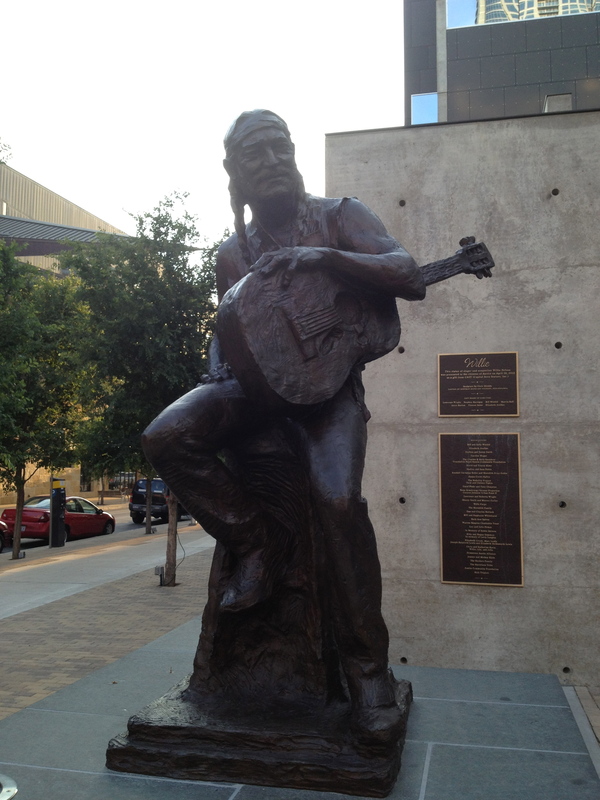 On the way to crash one of our friend’s birthday party we saw this cool statue of Willie Nelson. It’s right outside of the W Hotel. Some day I’d like to stay in a W hotel. Austin is so cool. Sounds great! How did I not know about $1 beers? I guess I am the one that is old! !